This past weekend I celebrated my birthday with family and a small but growing community of friends in Raleigh. I was still riding on my high from having such a great time as I wrapped up the Patreon promotion. Over the past two weeks 36 of you became patrons, a few of you reactivated your pledges and several of you even upgraded your pledges! I cannot thank you enough! I will start, however, by celebrating you all today on Twitter! Why does this matter? Support From the Patreon community enables me to continue creating content for Above the Bottom Line, pay my badass intern, and freely explore ideas for what's next (!!!). In exchange patrons can expect to get "behind the scenes" looks into what I'm up to with ABL, provide input on future content, hop on Google Hangouts to nerd out with me and more. I'm always open to feedback on additional perks, so just let me know what you'd like to see! And if you were on the fence about becoming a Patron, let me know why. I'd like to understand. Set to arrive at the Great Pacific Garbage Patch, located between Hawaii and California, in mid-October, this technology is the brainchild of a 23-year-old entrepreneur who has received $30 million in funding to bring his idea to life. Boylan Slat is his name. His company is aptly called The Ocean Cleanup. 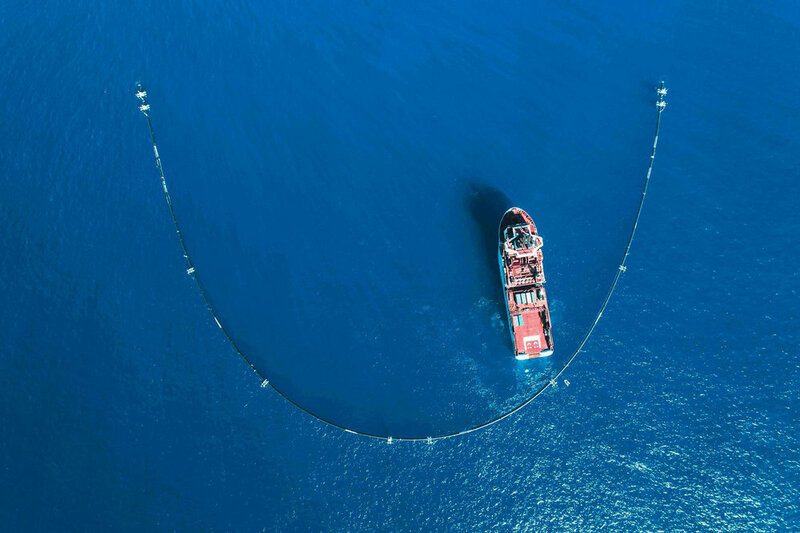 The idea itself is simple: the 2,000 foot system will catch debris floating near the top using the natural forces of the wind and current while ensuring that marine life is not harmed. The idea, of course, has many critics. I was reading the most recent article about it in Bloomberg's Businessweek, Is this Startup a Load of Garbage? (clever headline), and it's clear that many academics and environmental experts are not convinced this will work. In fact, a handful of them surveyed described it as "a very bad idea with little or no redeeming value." The only thing folks can seem to agree on is that his intentions are pure. After all, he's been working on this since high school. The first of the systems to be deployed is now en route to its destination. He officially has the world watching him as we wait to see if he'll deliver on his promise. Angela and I are exhausted by anyone who still thinks technology is unbiased. "If you don't have any critics, it means what you're doing is easy and obvious."